Africa’s distinguished lineage of internationally acclaimed singers can claim another star in Grammy-award winning Dobet Gnahoré. Hailing from the Ivory Coast, Ghahoré has a voice that flutters and soars and a stage presence that radiates style and energy, justifying her reputation as one of Africa’s most dynamic performers. 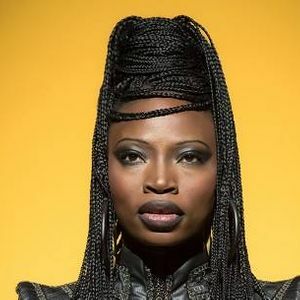 Described as ‘WOMAD’s best act’ by the Guardian, she’ll be performing her new, acclaimed album MIZIKI which is a subtle blend of African sounds and electronic music. It took four years to compose and pays homage to the two principal causes Gnahoré supports: a rich, generous and unified Africa, and the strength of African women.